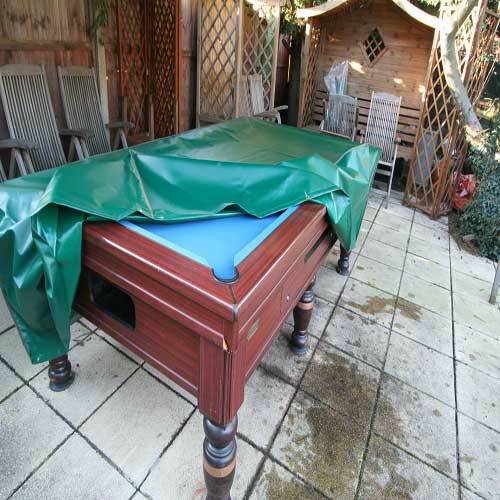 High quality, strong, long lasting, waterproof pool table cover. Manufactured in the PVC-ST this cover will last for many years. Designed to withstand strong UVA/UVB it will perform in plus 70 temperatures as well as minus 30. On request we will manufacture to your size, cover come complete with eyelets and shock cord. Kover-It covers come complete with brass eyelets, shock cord and a 5 year guarantee.